Charming one story home shows pride of ownership with original owners. This lovely home features large den and open concept kitchen for a nice spacious feel. Lots of cabinets and counter space in kitchen. Large breakfast room with door to backyard and lots of natural light. Master features plenty of space and master bath has shower plus separate garden tub. Secondary bedrooms with nice bright windows. Upgraded landscaping, and custom door and shutters make the exterior of this home beautiful from the moment you arrive. In ground sprinklers are sure to keep the beautiful landscaping looking good throughout the summer months! Zoned to Hidden Hollow Elementary, Creekwood Middle and Kingwood High. Walking distance to neighborhood pool and park. Don’t miss this one! Please, send me more information on this property: MLS# 73981439 – $169,500 – 4506 Woodspring Glen Lane, Kingwood, TX 77345. 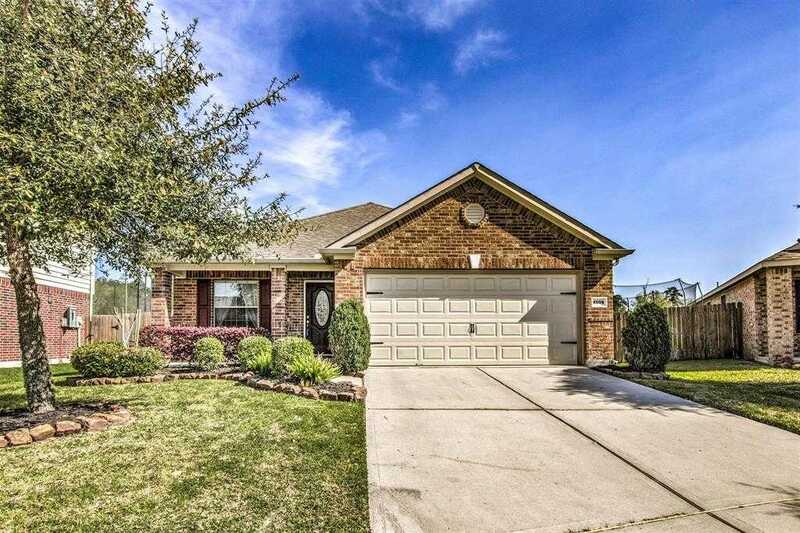 I would like to schedule a showing appointment for this property: MLS# 73981439 – $169,500 – 4506 Woodspring Glen Lane, Kingwood, TX 77345.